Getting an engineering inspection before buying real estate or allowing a foundation contractor to do work on your property is very important. Call JADE before you do either. 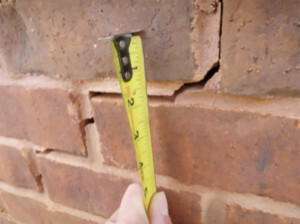 We are capable of evaluating any foundation or building structural problem with a home or commercial building. For critical and complex evaluations, we map out the interior floor plan and perform a floor level survey. We then map out the foundation and floor framing system. Finally, we superimpose the floor plan over the foundation plan. This exercise clearly shows if there has been any differential foundation settlement or floor sag, where it occurs, and in the event of floor sag, why it is occurring. 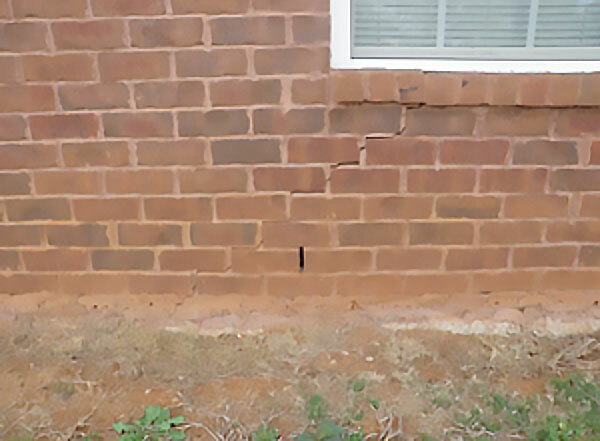 In combination with a study of the building’s crack patterns, we can distinguish between cosmetic problems and serious structural problems. 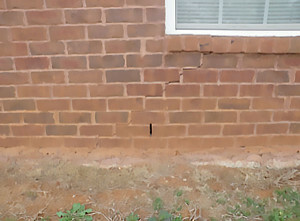 (Pictured) Exterior cracks in brick veneer are not always created by severe foundation settlement. Our engineering inspections can distinguish between cosmetic problems and serious structural issues. Interior cracks in drywall could be the result of floor sag and not associated with foundation problems. 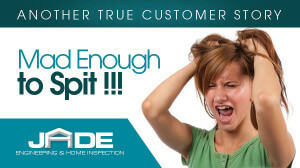 An engineering inspection can differentiate between the two and prevent unneeded, expensive repairs.